Let’s be honest – there are a lot of areas where the Chevrolet brand excels. From creating the most accessible all-electric long-range passenger car, to designing the most powerful and dependable pickup trucks on the road, the American automaker is crushing the competition one segment at a time. Constantly outsmarting its toughest competitors, and even outdoing Tesla in automotive safety scores, the bowtie brand is proving once and for all that it is the king of the American automakers. While it may have come as a surprise to some that Chevrolet would take over the all-electric vehicle market, it doesn’t surprise most to learn that Chevy is dominating the world of pickups. 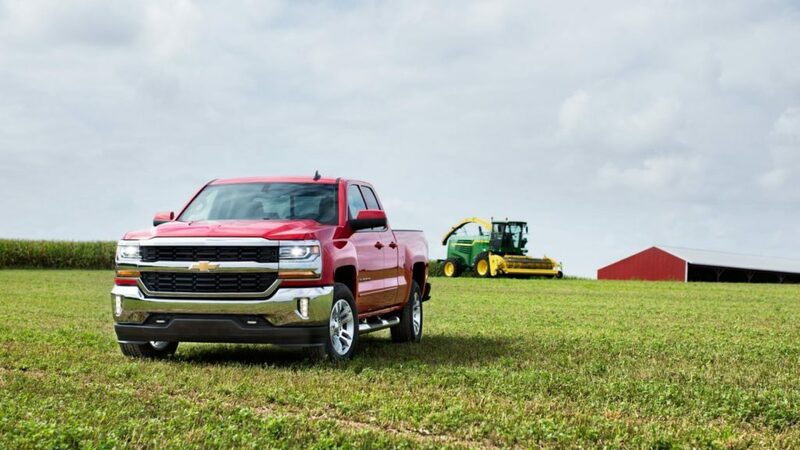 Chevy trucks are the most reliable, dependable, and powerful vehicles in the lineup, and are earning top honors across the board in the entire automotive marketplace. It’s not hard to realize just how awesome Chevy pickup trucks are, and how purchasing one can turn your daily routine from mundane, to constantly thrilling and adventurous. While the pickup truck segment is small compared to other automotive categories, its modest size leaves a lot of room for tough competition. Despite this fact, Chevrolet has managed to keep on top of these competitors by offering a pickup truck lineup unlike any other on the market. Take a look at five of the many reasons why you should head to the dealership and pick up a new Chevy truck. Something for Everyone: It doesn’t matter if you require a heavy duty full-size hauler, or a light duty compact pickup, the bowtie brand has you more than covered. With the reintroduction of the award-winning small-size Colorado, the Chevy pickup truck lineup is more versatile than ever before. The brand offers traditional gasoline engines, diesel options, and has even expanded its lineup to include trucks with B20 biodiesel capability. Whether you need a professional pickup truck for your business, or a sporty pickup truck for weekend adventures, no other brand provides such versatility in its lineup than Chevrolet. Powerful: To say that Chevy trucks are powerful is an understatement. The mid-size Colorado offers up to 308 horsepower and the ability to tow up to 7,700 pounds, while the larger light-duty Silverado 1500 delivers a maximum horsepower rating of 420, and a class-leading towing capability of 12,500 pounds. As impressive as these numbers are – it gets even better. The most muscular pickup truck ever made by Chevrolet, the 2017 Silverado HD, boasts a maximum torque of 910 lb.-ft., and an incredible towing capacity of up to 23,300 pounds. When we say that this truck can get the job done, we mean it. So whatever your power requirements are, it is obvious that the bowtie brand provides capable pickup trucks that not only meet your needs, but also tremendously exceeds them. Dependable: The entire Chevrolet brand was voted the most dependable year after year, and the pickup truck lineup is no exception. The Silverado is consistently ranked the most dependable and longest-lasting full-size pickup available in the United States by J.D. Power. The Colorado has been named the longest-lasting pickup trucks on the road by various institutions for specific model years. If you want a long lasting pickup truck that you can count on, count on Chevrolet. Luxury Offerings: While we all want our trucks to deliver unbeatable power and dependability, some of us also require that our pickups to do so in style. The Chevy pickup truck lineup offers something for everyone when it comes to on-board amenities and luxury options. Whether you want the basic work truck that will simply get the job done right, or a highly stylized, amenity-rich option that will just as easily transport you to a night out on the town – Chevrolet delivers. With multiple trim level options on each of its truck models, Chevy even offers a long list of capable and stylish special editions. These special editions range from more basic and rugged, to more stylish and high class. Unlike other brands, Chevy understands that truck owners want to feel comfortable and luxurious, just as much as buyers in the SUV and sedan segments. Affordable: Just as versatile as their list of amenities is the starting MSRPs of Chevrolet pickup trucks. The 2017 Chevy Colorado base model starts at just $20,055, while the base 2017 Chevy Silverado 1500 will cost buyers $27,585. The heavy duty 2017 Silverado 3500 has the most extensive power and utility, and carries a price tag to match. Starting at $34,510, the Silverado 3500HD models can cost upwards of nearly $60,000. Depending on your needs, desires, and wants, Chevy’s pickup truck lineup can be the most affordable, or the most expensive on the market. There are obviously more than just five reasons why so many American truck buyers prefer the bowtie brand over others on the market. With a stiff competition between Chevy and Ford, Chevrolet consistently provides more value, dependability, and reliability over the blue oval brand. Here at DePaula Chevrolet in Albany, New York, we have an extensive inventory of new and used Chevy pickup trucks available for you to test drive. If you have never been behind the wheel of a Chevy truck, or even if you have owned several in the past, we invite you to come down and see all that Chevy has in store for the latest truck model year. With a wide range of options currently in stock, buyers in upstate New York are loving all that we have to offer here at DePaula Chevrolet. There has never been a better time to take advantage of the Chevy truck lineup, and the team at DePaula Chevrolet is the perfect solution for helping you find that perfect new or used pickup. Upgrade your current Chevy truck, or ditch your outdated model from another brand, and replace it with the most capable pickup in America. We hope to see you soon, and get you on the right path to ultimate on and off-road dependability. There is nothing like a Chevy truck to brighten your mood and lift your spirits – come and discover why, today.